Tassos house is a beautiful sympathetically restored old Corfu house that was originally part of an olive farm. The restoration has been carefully carried out to maintain the original character of the building while providing comfortable, spacious simply-equipped accommodation. The property has three double bedrooms (2 twin bedded, one double bedded), two bathrooms, hallway and very large living area (9m long, 6.5m wide and 3.5m high) with old flagstone floor and exposed beams. Twin doors from the living room lead to a large patio area with pleasant views up the valley towards Mount Pankrator. There is also a small garden area with lemon tree for shade. The two upstairs bedrooms have air-conditioning, although the property tends to stay cool due to very thick stone walls and well insulated roof. There is car parking under an olive tree in yard at rear of property. I am an engineer, my wife is a nurse. We both work part time and have two grown up daughters. We love visiting our house in Corfu, but also like to exchange to visit other places. We have already done several house exchanges to various destinations including Malta, Minorca France and Italy. All exchanges have been great, and people have enjoyed staying in our place in Corfu. Please note that we are only really interested in exchanges with a maximum duration of two weeks. Also we have already visited Paris. Thank you. Tassos house is one hours drive from Corfu (Kerkera) airport. It is situated in a small rural hamlet in a valley 1.5 km inland from the small resort of Archaravi (long sandy beaches, excellent swimming and easy parking, shops and restaurants). There are a few houses and a small shop near to Tassos house mainly owned by friendly Greek people, completing the Greek experience. The sea is either a 5 minute drive or thirty minute downhill walk. 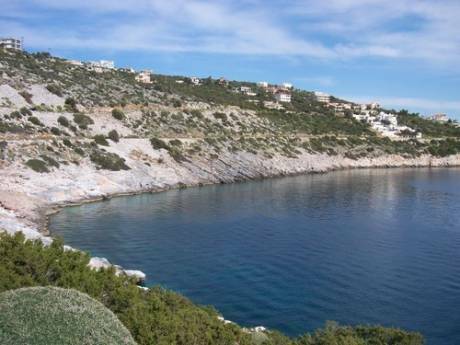 The beauty spots of Aghios Spyridon, Aghios Stefanos, Kerasia, Kalami, Kaloura, mount Pankrator and the ancient village of Perithia are all within easy reach. Boats can be hired daily at very reasonable rates. Corfu town with with its stunning Venetian centre and old fortresses makes a great day trip. Corfu is considered by many to be the most beautiful of the Greek islands with dramatic scenery, varied coastline and lush vegetation throughout the seasons. 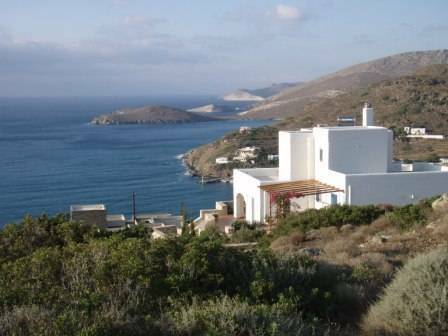 The property is in the north east part of the island which is the least developed, still providing beautiful views and a very relaxed environment. Great for walking in the mountains or along coast. Great days trips to Corfu town, Different beaches, Ano Perithia (old mountain village), Pantrakator (highest spot on the Island, amazing views to Albania) and great beaches.